A survey carried out by Which? has revealed that property buyers in the UK may be reluctant to purchase homes that are subject to finance provided under the Green Deal. Homeowners may therefore be required to settle the loans early if they want to move along the property ladder. The aim of the Green Deal, which was made available to the British public in January, is to provide an opportunity for property owners to improve the energy efficiency of their homes via measures such as cavity wall insulation and loft insulation. The scheme works by making finance available to homeowners who wish to have certain types of work carried out on their properties. Loans available under the Green Deal are subject to variable rates of interest (typically over 7 per cent). There are two important features of the Green Deal: loans are attached to the property, not the homeowner; and energy savings ought to pay for the cost of the loan. 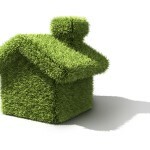 Although public interest in the Green Deal has been limited since the scheme was launched several months ago, the Coalition’s flagship environmental policy does aim to improve the energy efficiency of Britain’s housing stock in a way that ought to be affordable for many homeowners. The problem is that property buyers seem less than keen to inherit loans acquired under the scheme. According to Which?, 46 per cent of prospective property buyers would not consider buying a home until any loan taken out on it under the Green Deal had been paid off. Only 26 per cent of respondents indicated that the existence of a Green Deal loan would not prevent them from buying a property. As quoted by the Guardian, Richard Lloyd, the Executive Director of Which?, said: “With rising energy prices still one of the top consumer worries, measures that help people make their homes more energy efficient are vital to help save money on bills. “The Green Deal might work for some people, but as with any financial product, whether it’s a good deal for you will depend upon your personal and financial circumstances”. One limitation of the Green Deal is that improvements made under the scheme are often “factored into the sale price”, thereby making loan repayments an additional cost for buyers.